According to a study by ASSOCHAM, except a few premier institutions, most of 5,500 B-Schools in the country are producing subpar graduates who are largely unemployable, with only 7 percent of the graduates are actually employable in India. The primary reasons for this outcome can be the lack of skills and institutions failing to adapt to the current industry trends. Listening to the call of solving these prevailing issues, R. K. Shrivastava, recipient of the Gem of India award, founded Fortune Institute of International Business (FIIB) in 1995. Located in the heart of South Delhi, the institution proudly combines a state-of-art infrastructure with a future-focused educational experience. 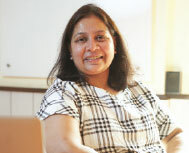 "Through a sublime learning environment and action-oriented pedagogy, we are keen to beat the obstacles existing in the education system and set an example by producing graduates who not only hold degrees, but are also empowered with skills and qualities, which are rare in other B-School graduates,- says Radhika Shrivastava, Executive Director, FIIB. Offering a two-year PGDM course, which is equivalent to MBA, the institution is ensuring individual attention to each student by an excellent team of faculty members. "We have recently added courses in Business Analytics and Digital Marketing to match up with the new trends of management studies," adds Shrivastava. The courses are designed to motivate the students to think independently and develop a self-study habit so that they can effectively grasp what is taught in the classrooms. The experienced faculty members combine experiential learning modules, future-focused coursework, and real-time industry-adapted curriculum to help the students grow productively. Added to this, the 12-week summer internship, a two-week consulting assignment with an NGO and a minimum of two live projects guarantee the 360-degree development of the future professionals. "We aspire to launch our students into the business world with impactful credentials. They are well-trained about the business tactics through which they can tackle the emerging challenges of the various organizations that they would we working with," shares Shrivastava. The institution organizes many co-curricular activities where the students avail the opportunity to interact with hundreds of industry leaders and gain their vision and insights on the modern management industry. The role of entrepreneurship in today's management programs is undeniable. A considerable number of students step forward to start their own venture right after the completion of their management program. Where most of the B-Schools have included entrepreneurship clubs in their premises, FIIB has denied to follow the conventional path and created Meraki in 2012. Meraki is a pan-Asia business plan competition for aspiring entrepreneurs where their ideas gain exposure in front of leading angel and venture capital investors. "Over the years Meraki has emerged as a fruitful sphere for both our students and the students from all over the country. Organized and conducted by our Entrepreneurship Development Center, this competition has seen 600 percent growth rate throughout its six years of existence," claims Shrivastava. Keeping in mind the importance of research and innovation in entrepreneurship, FIIB has also established FIIB Research Centre which quarterly publishes a management journal- FIIB Business Review (FBR). This journal encourages students, teachers, and academicians from all over the country to carry research activities and disseminate knowledge amongst each other. Further, it also strengthens the student's conceptual knowledge and provides them in-depth research insights, which they can leverage to touch incomparable heights. Traditionally estimated as the best career option available to the students, management education is often cited as the sword that cuts short the ladder of success. While this phenomenon continues to be a major source of inspiration for MBA aspirants, today's students have started looking for an underwritten job surety. FIIBthat holds a dignified legacy of more than 20 years has been capable of associating with organizations like Walton College of Business (USA), Burgundy School of Business (France), UniGlobe College (Nepal), Wadhwani Foundation and PHDCCI, just to name a few. "We undertake annual student exchange programs and joint sessions with Sam Walton College of Business, University of Arkansas (USA) and University of Tampere (Finland) to provide our students a global standard management education, which finally acts as an asset on their resume," opines Shrivastava. With its excellent placement track record, expansive industry interface and globally-benchmarked curriculum, FIIB has been able to sustain its place in the ranks of top 30 private business schools across the country.